Life Is What You Make It - Preeti Shenoy - A Rose Is A Rose Is A Rose! Synopsis : Life is What You Make it, is a story of a young smart, intelligent and beautiful girl, Ankita Sharma. Ankita has a regular college life with great friends, a couple of guys falling in love with her, academically brilliant scores and even a stint as Arts Club Secy during the college elections. All is not only well, but simply great for Ankita, till she starts manifesting the symptoms of a mental illness, which is later diagnosed as Bipolar Disorder. 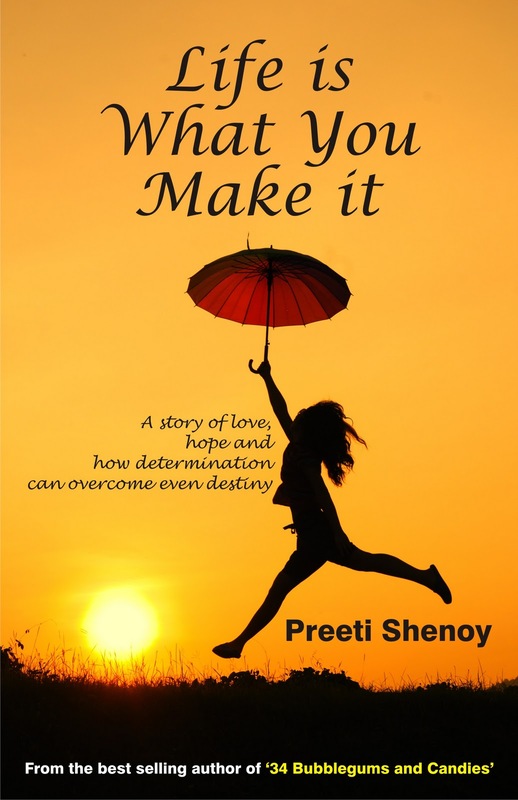 Life is What You Make it, is an inspiring journey of Ankita through the ups and downs of life and her grit and determination to fight all odds, to repossess the control over her life. Review : You start reading this book and immediately you are hooked. It’s like all the characters and the situations come alive in front of you, and you can relate to so many things from your own past… the college atmosphere, the strict parental rules, the ‘braking suddenly tricks’, the era of postal letters and telephones… It’s like going down the memory lane with a big smile plastered all over your face. A sensitive portrayal of a mental illness, which is still a taboo in our society, reflects the in-depth understanding and research on the subject by the author. Without much of the medical jargon on Bipolar Disorder, the book creates awareness about the disease, right from the signs and symptoms, mood swings and suicide attempts to the treatment regimen to the recuperation and finally the rehabilitation. It also throws light on the daily trials and tribulations of the family, their fears and pain, their helplessness, patience and understanding to deal with a disease which throws the life of their loved one totally off the track. Life is What You Make it, subtly makes one empathetic towards patients with mental illness. A simple and crisp narrative coupled with a limpid writing style, makes Life is What You Make it, a simply Unputdownable read. Once you start reading this book, any interruptions would be frowned upon. You’ll like the fast pace of the book too, the initial chapters take you through the college fun and friends, letters and love. Then comes the career and choices, and next is the depression and the disease and finally the sweat and success. And all through this Ankita’s journey, you will feel her innocence, distress, apathy, pain, frustration, strength of mind, come out live in front of you, which will touch you for sure. Never belittle love, no matter where it came from and to be a little humbler, nicer and kinder with my words and actions. Faith is a strange and a powerful thing and it can work miracles. My life is only as good as I decide to make it, as I am the master of my fate! In a nutshell, Life is What You Make it, is inspiring and engrossing. Would love to read it .Thanks for the review. 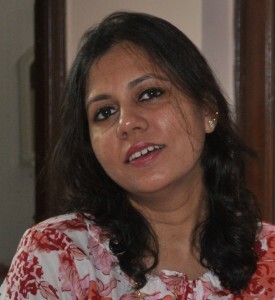 Good review, I jsut joined the blogadda;s review program. Sounds interesting…would love to read it. also makes 34 bubblegums and candies….up for grabs!! Actually,plot seems very simple that it could be an ideal story line for Ektaa Kapoor serial. tight and compact review. The plot if it is well narrated and developed must be good . So pleased to read this marvellous review! Absolutely you are correct. Life is what we make? Life is in our hand. We want to decide what is correct.